The COTEK SP Series of pure sine wave inverters is the latest line by COTEK, replacing the very popular and reliable SK series. 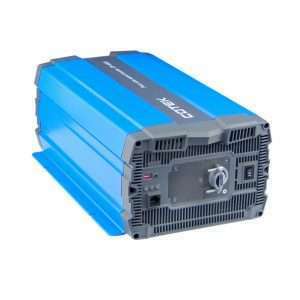 These high quality PSW inverters range from 700W – 4000W, they implement the state of art design topology with the following advanced functions: wider DC input voltage, wide operation temperature to fulfill majority applications, a sleek low profile and stylish ID design with output voltage selectable dip switch (100/110/115/120Vac) makes it a more user friendly experience. All models of course come with a standard two year warranty. 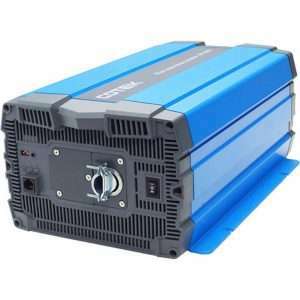 These SP Series inverters will pick up right where the SK Series left off, if you’ve been a fan of the COTEK pure sine wave power inverters in the past, you will certainly love these new models. We offer free shipping on all of the SP power inverters, if you have a question regarding any of these models, call us today!